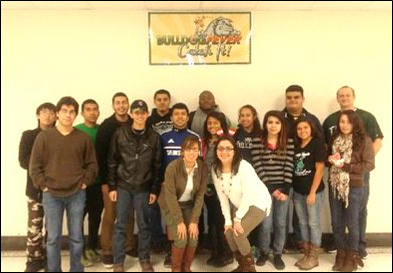 Trimble Tech SHPE Jr Chapter has had a great academic year thus far with over 5 meetings this past semester and 5 more scheduled 2014. For Fall 2013, the following STEM activities and Professional/Soft Skills workshops were conducted: SHPE JR 101, what is engineering, Building bridges, applying for college, parachute drop, importance of leadership, effective study habits/time management, college financial aid, and how to fill out a FAFSA. This upcoming semester we have more exciting topics/activities to discuss such as a surface tension lab, writing an effective resume, preparing to go off to college, as well as students will be participating in Austin, TX RLDC, Region 5 SHPE JR Conference at UTA, a Lockheed Martin company tour and a Texas Christian University tour. With a full year awaiting our Jr chapter, volunteers are always welcomed. Students are always interested in meeting new professionals! 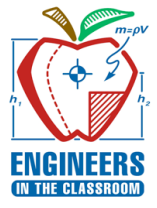 Special thanks to the following Fall 2013 SHPE Professional volunteers for attending/participating in meetings: James Narey, Matthew G Beard, Efrain Vega, Gloria Corral, and Fernando Castellanos.